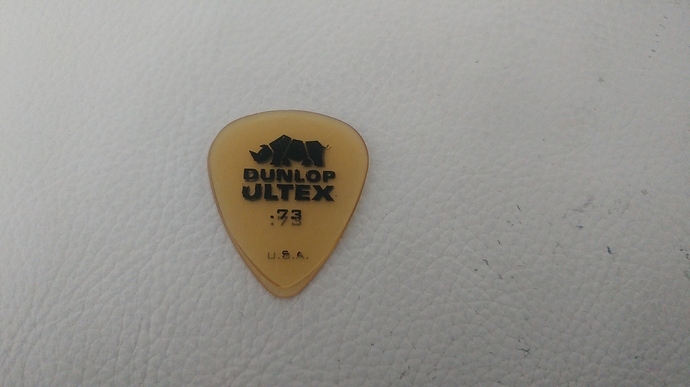 I found a Dunlop Ultex pick in a draw which i realy like. It is a bit smaller then the normal ones and has a bevelled tip. I want to order some more in different thickness but i can’t find them anywhere on the internet…Does anyone no where i can get them? On the pictures you can see the difference. Don’t hold me to this, but that seems to me like an Ultex Sharp (which are a different, rounder shape from the Tortex Sharps) that’s been worn down slightly. No it is not. 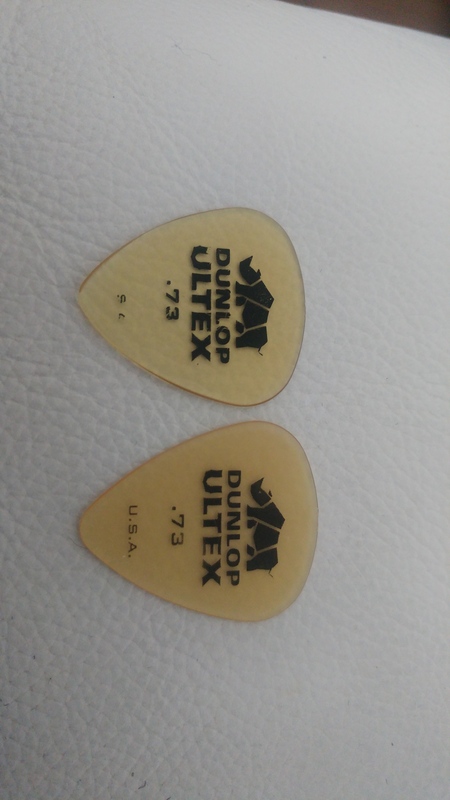 The sharp,s have “Sharp” written on them and they are the same size as the normal ones. This smaller one is not worn down either, I almost did not use it. It is realy a different size and tip. Here you can see the bevel. 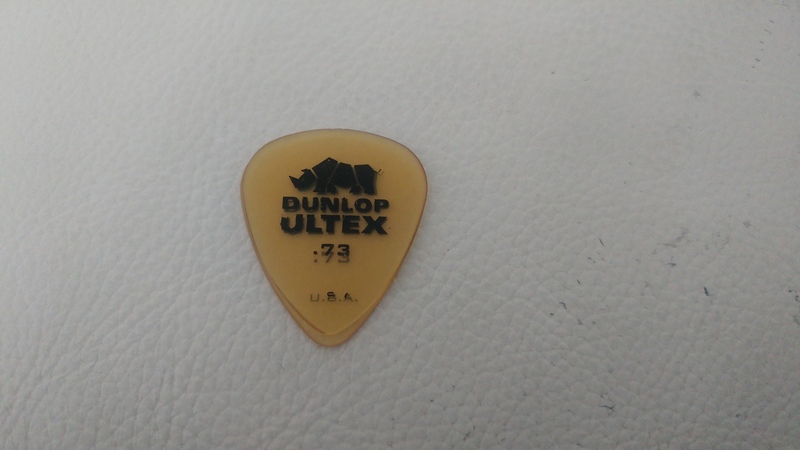 This picture threw me, I thought that was a single pick. Are you SURE that’s not worn? 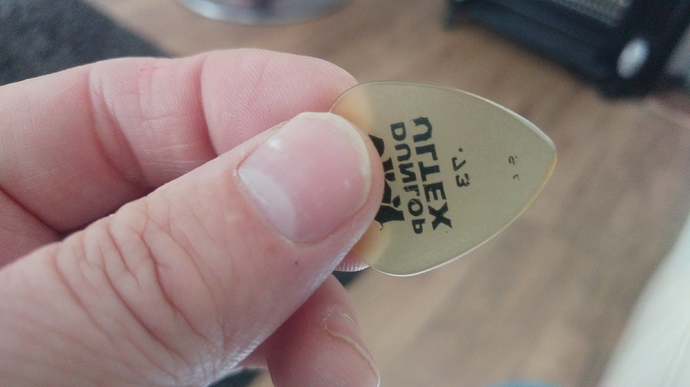 To me it does look like a standard pick with part of the tip worn or polished off. Other than that… Looks like your options are Standard, Sharp, Triangle, and Jazz, and that’s way closer to a Standard than anything else. I am sure it is not worn down because i almost never used it. And it is to nice symetric and smooth on both sides to be a worn down pick. 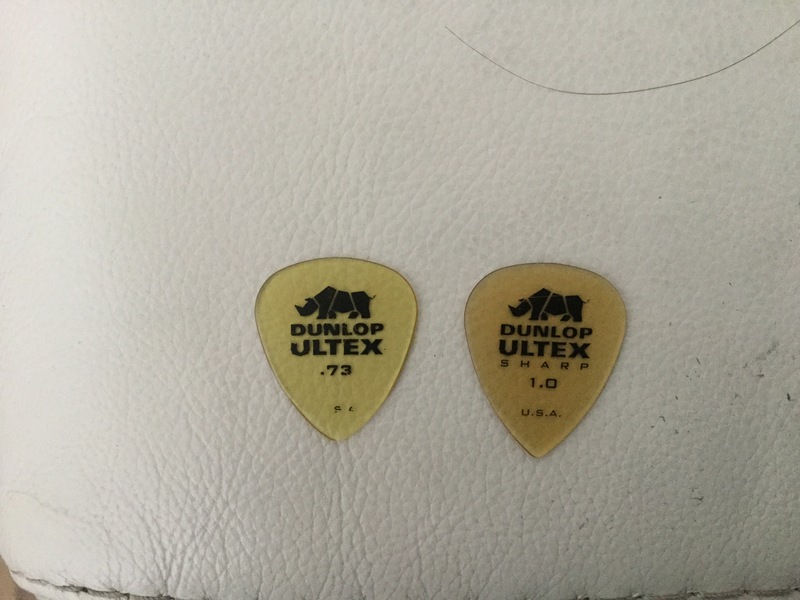 I would call Dunlop and ask them. Your pick looks interesting, a little bit like a Flow.